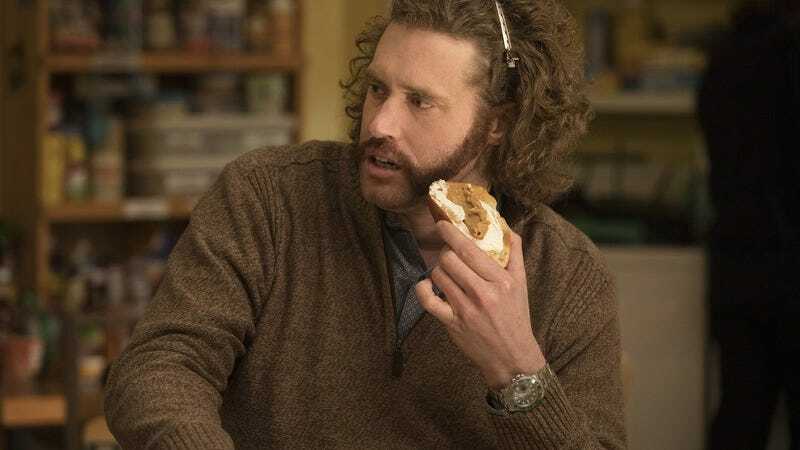 T.J. Miller shocked comedy fans last week when he announced that he’d be leaving Mike Judge’s hit comedy Silicon Valley at the end of its fourth season. At the time, HBO released a statement stating that the decision for Miller to depart was mutual, but didn’t say much else. Now, Miller has started giving interviews about the exit, shedding light on his motivations, and his determination that, when Erlich Bachmann leaves the scene, we’ll never see him again. I think a lot of people in my situation would be like, “Never say never!” but that’s who I am. Just because: What if felt like a whimper instead of any sort of bang? What if it had no pop to it? What if it was in any way a disappointment? Why? Why would one do that? Especially because the final episode is so—I wouldn’t have left the show if this finale hadn’t absolutely, perfectly, organically allowed an exit for Erlich in a way that I found very funny. It’s a funny joke for him to then never be back on the show. It was perfect. Silicon Valley is currently airing its fourth season; Miller’s set to make his big exit during the season finale, on June 25.